Saints players and mascot visit special education class. 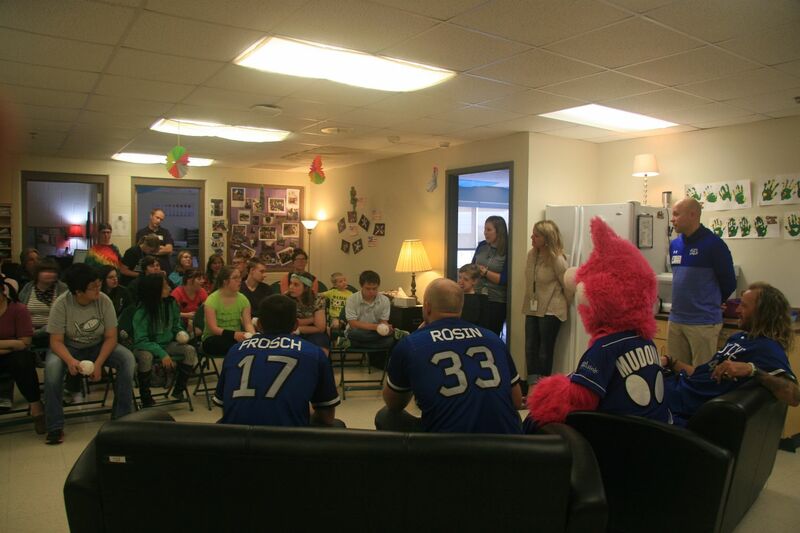 Special education students received a visit from some new friends on Friday, May 26th. 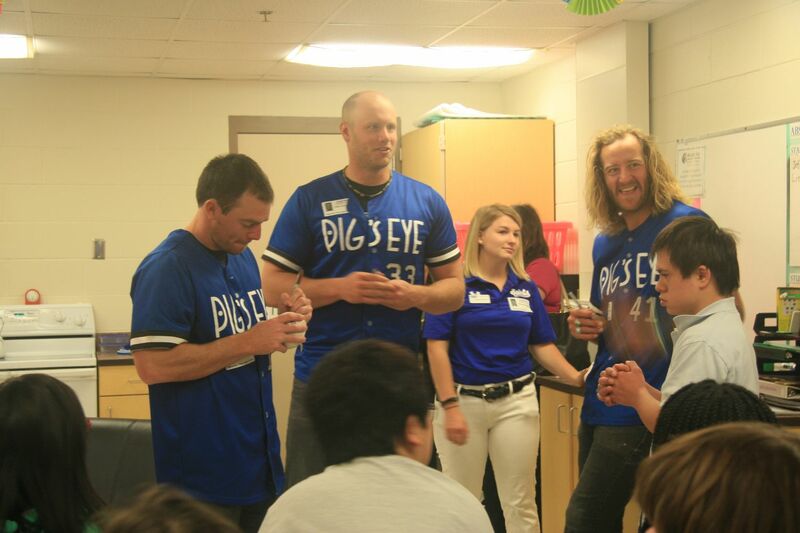 St. Paul Saints pitchers Seth Rosin, Mark Hamburger and Ken Frosch chatted with the students, gave autographs and posed for pictures. 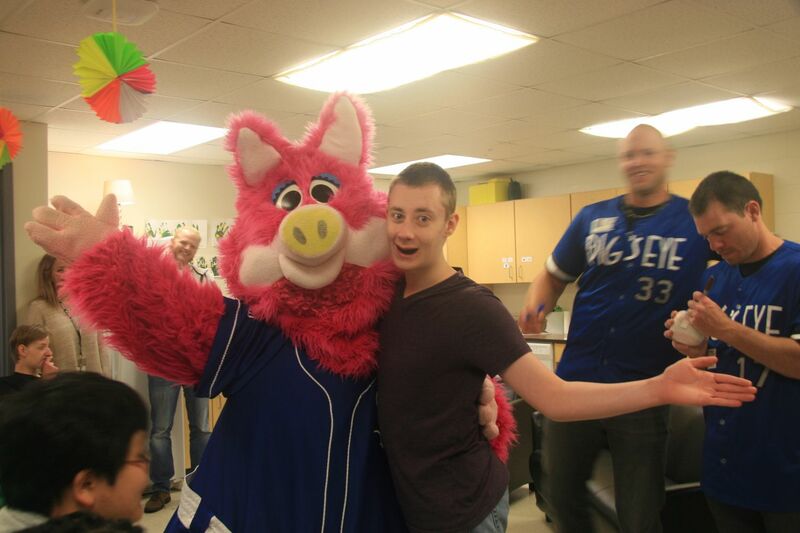 The students were also given the opportunity to meet Saints’ mascot — Mudonna the pig. The special education students were already especially close with Rosin, son of English teacher Liv Rosin and a graduate of Mounds View High School from the class of 2007. As a student at Mounds View, he spent time as a TA for the special ed classroom and worked with the special education students. He has kept in touch with the students ever since and enjoys any opportunity to spend time with them. Hamburger, a 2005 graduate of Mounds View, has been a professional pitcher since 2007, playing for the Twins, the Texas Rangers, the San Diego Padres, the Houston Astros, the Melbourne Aces and his current team — the Saints. Frosch has no personal ties to Mounds View, and has played for the Evansville (IN) Otters and the Saints. 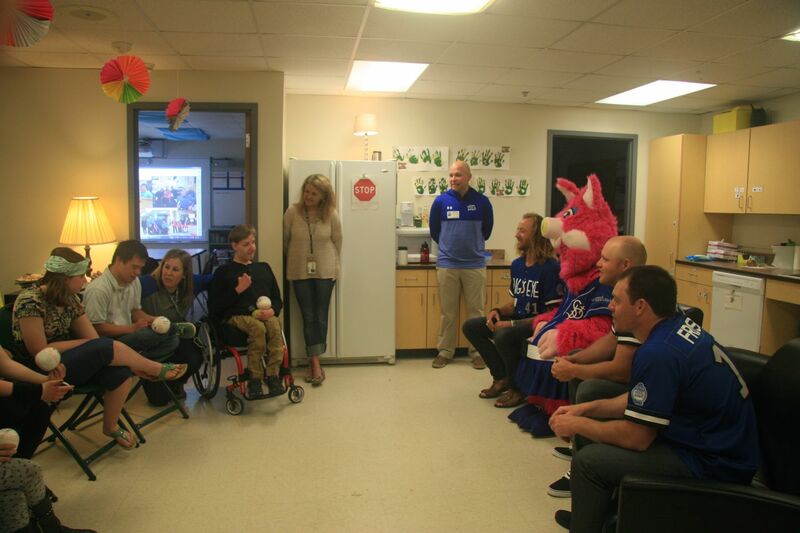 Through this simple action, these players have shown that they are committed to both baseball and the community. Saints players and mascot relax on couch with students. Saints players and mascot field questions from the class. Saints mascot, Mudonna, poses with a student. Off the pages and into… balloons?